Learning doesn’t necessarily mean chaining your kids to the desk. 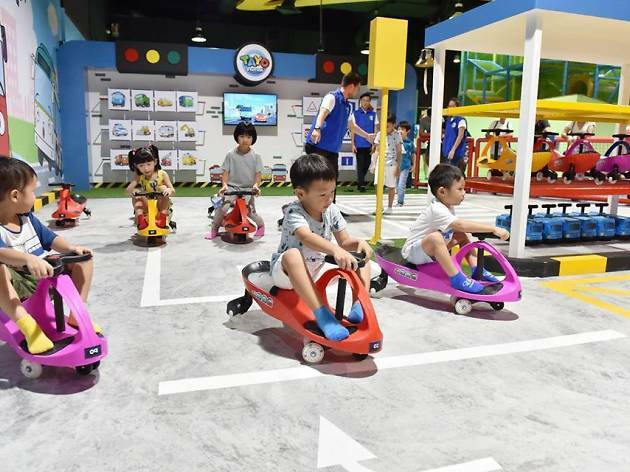 Children make sense of the world around them through play – and that’s why we’ve taken a gander at some of the edutainment spaces and indoor play centres around town that allow the little Einsteins to pick up some skills while having a ball of a time. 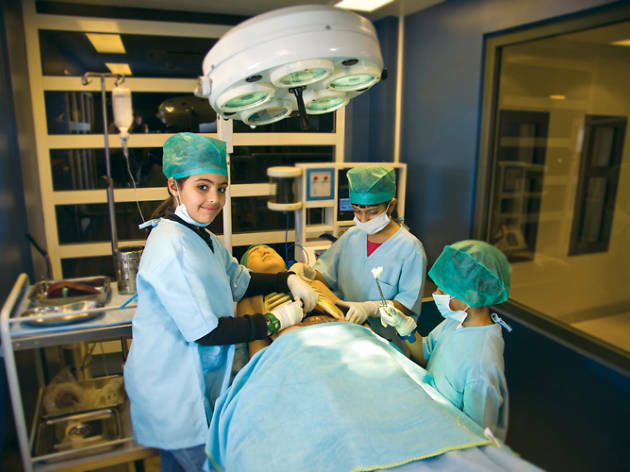 Before KidZania, there was The City. 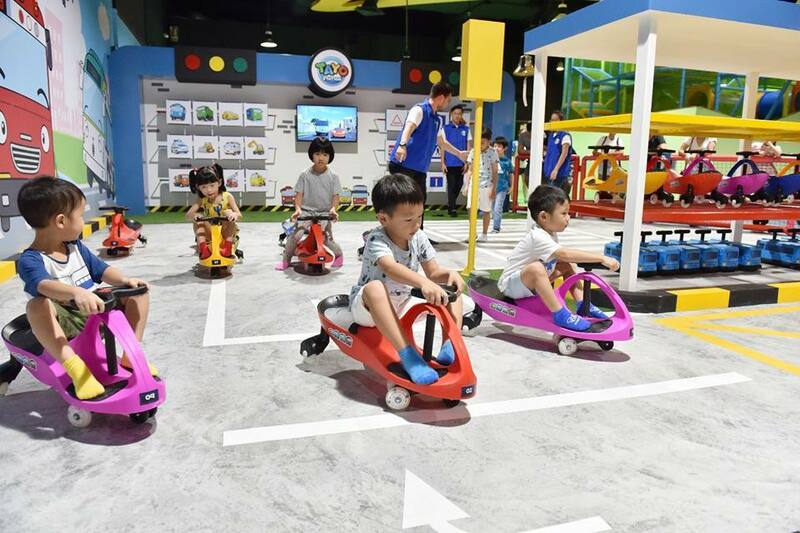 The interactive learning playground allows children aged between 18 months to eight years old to take on different adult roles and professions in a well-equipped kid-sized city. The playground is separated into zones: there’s a police station, fire station, clinic, supermarket, post office and café. 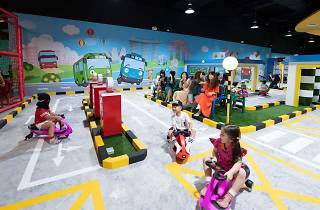 Children can dress up in uniforms and play cook, doctor, cashier and policemen, and even ‘drive’ on miniature streets complete with traffic signs and lights. The goal of these role-playing exercises is to hone children’s life skills, such as counting money and learning about nutrition, health, safety and hygiene. 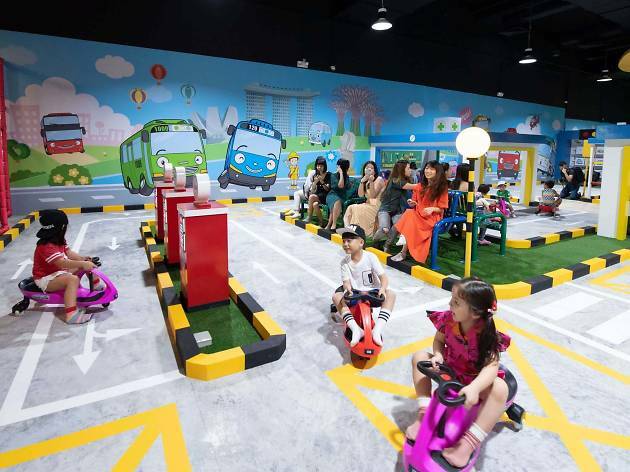 Themed around popular Korean animated series, Tayo The Little Bus, this indoor theme park in Downtown East is the first outside South Korea and covers 10,000-square-feet-space and has indoor playground areas, a toddler area for the young 'uns, a sensory play space and a mini road circuit for the tiny tots to zip and zoom while learning all about road safety. 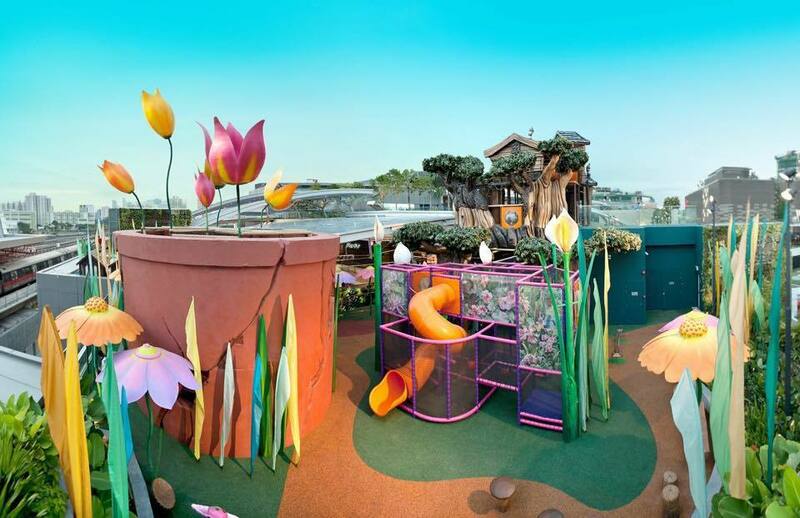 Let the little ones climb to their hearts’ content at this multi-activity play centre. 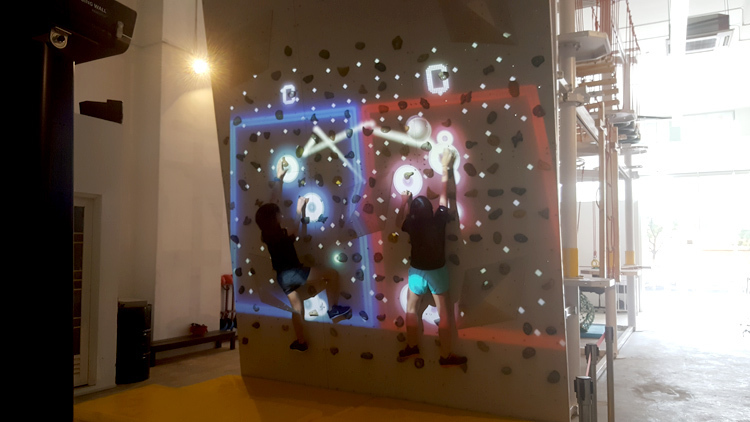 A range of rock walls are available, including two speed-climbing auto-belaying walls and an augmented reality rock climbing wall. 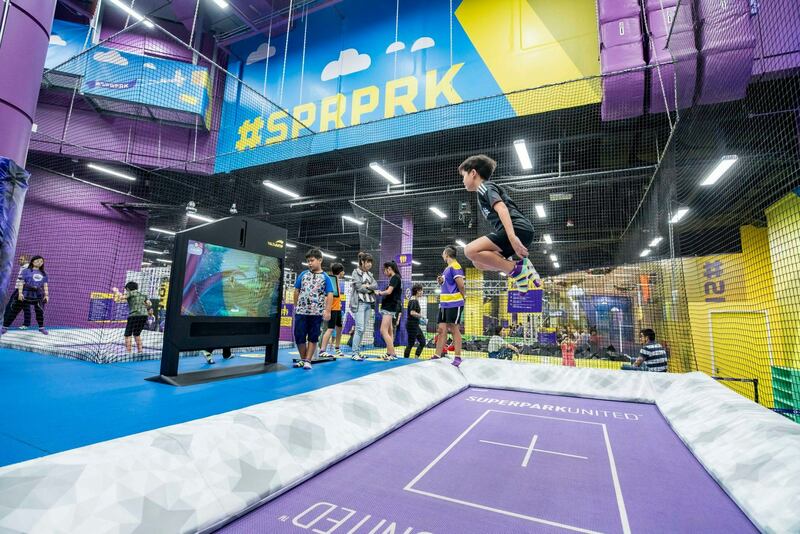 Challenge another player to hit as many bats as possible, climb a set route or pass a ball back and forth – all while hanging onto the wall, of course. After the physical workout, it’s time for a mental workout – at the robotics lab that is. Kids get the chance to build from scratch or programme robots at the hands-on workshops at the function room. Think of this as the Science Centre on steroids. 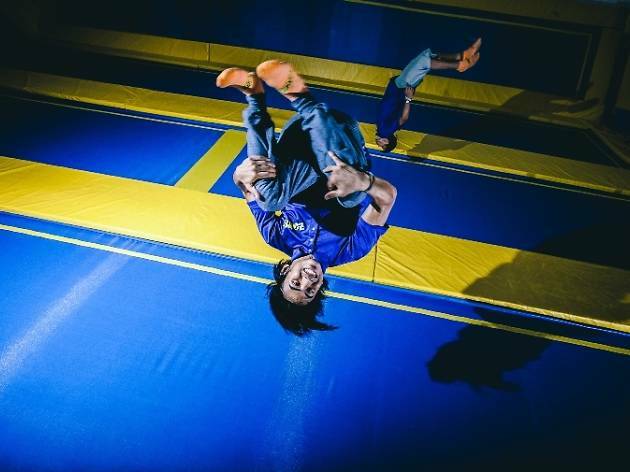 Located in Sentosa, MOSH! 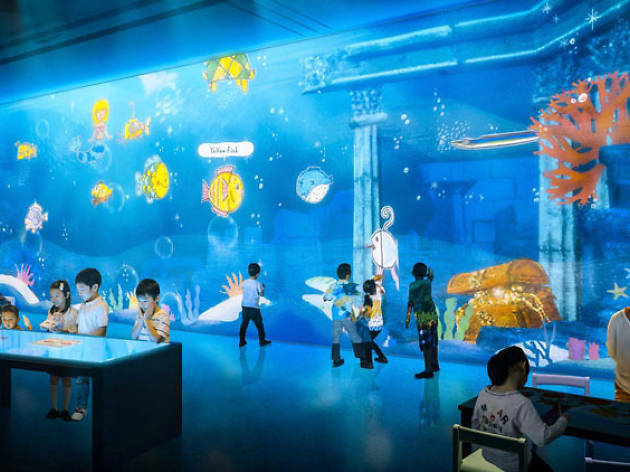 is Singapore’s first 'digital media edutainment facility'. 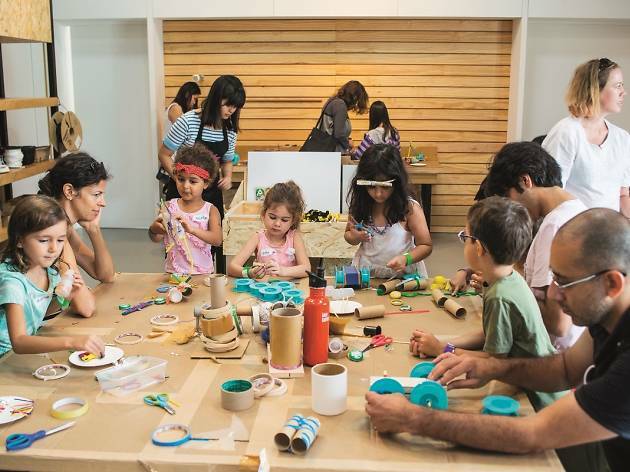 The idea is to encourage children of all ages to develop their creativity in fun ways within a safe and immersive environment. There's all sorts of technology, from projections to motion to interactive, here – your kids can even call upon their Minecraft skills to create their own virtual reality from scratch. An edutainment centre specifically for kids, this interactive space features various areas for them to run wild and dirty their hands. 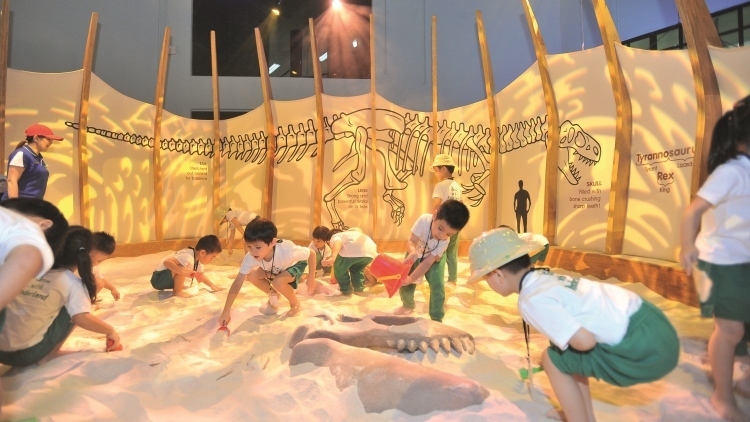 Galleries are divided into themed zones with exhibits that encourage kids to get creative, learn about Mother Nature, nurture their curiosity and open their minds to the wonders of the world. And as you'd probably guess by now, gravity's a big part of it. Enter The Big Dream Climber. This fantastical two-storey-high wall features elements plucked from the mind of the Mad Hatter: hanging doors, flying fish, giant gears and huge leaves green kids at every corner. And if they manage to scale the wall, they'll arrive at the Music Zone, where they can go nuts on drums and organs, constructed from PVC pipes. They say that we never actually grow up. We just become good at pretending. 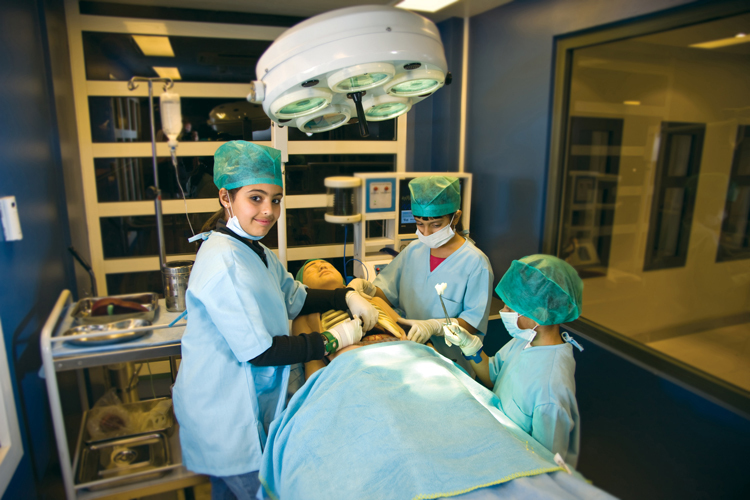 And at KidZania Singapore, your children will be really good at faking it (hopefully ’til they make it). The island’s newest edutainment centre is literally a city within a city. 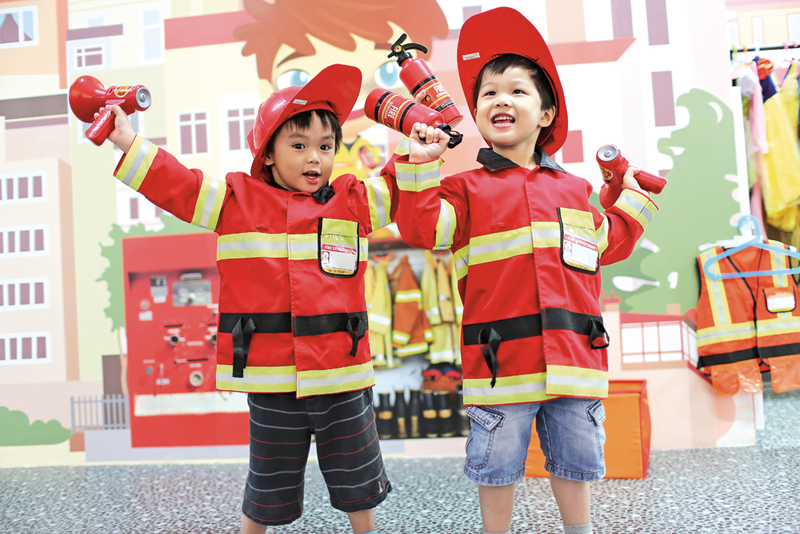 And spread across the massive facility are dozens of ‘real-world’ venues – scaled down, of course – where little ones can learn about being a firefighter, policeman, actor… you get the drift. 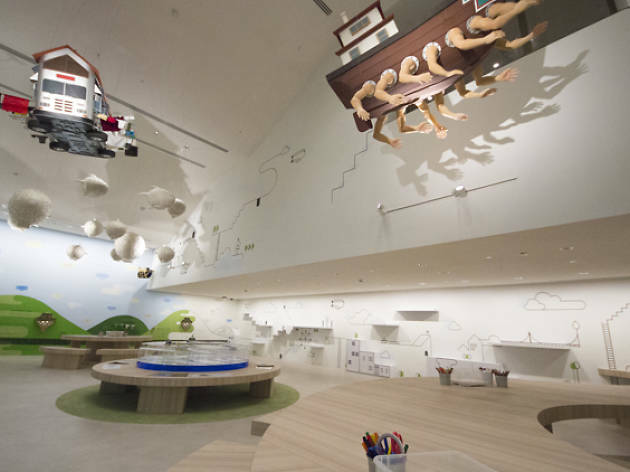 Like its 22 counterparts around the world, the Singapore playground is developed in consultation with child education experts and supported by legit brands to complement learning experiences. 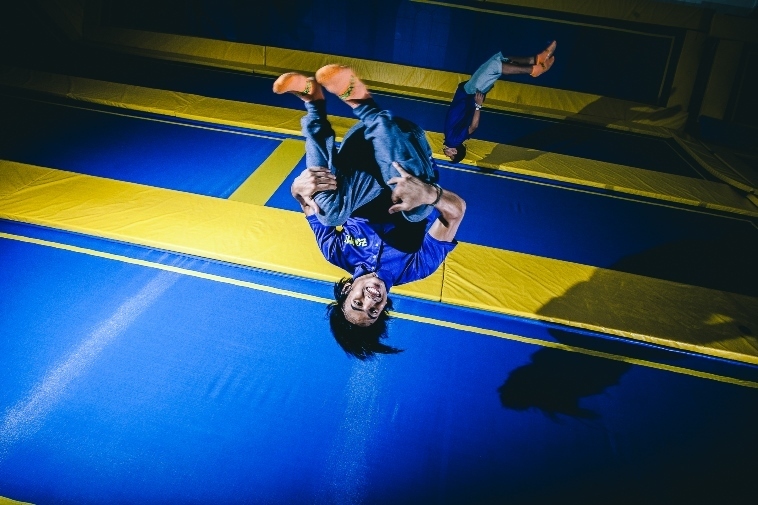 And since activities here are designed for children aged four and up ($25/two to three-years-old, $58/four to 17-years-old, $35/adults), nearly everybody can get in on the fun. 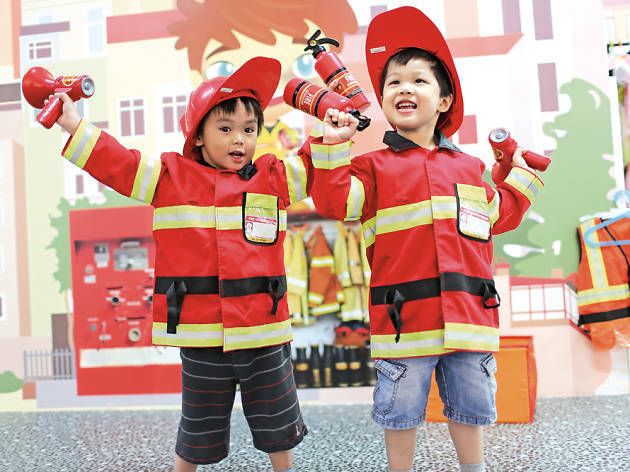 Let the little ones climb to their hearts’ content at this multi-activity play centre. A range of rock walls are available, including two speed-climbing auto-belaying walls. 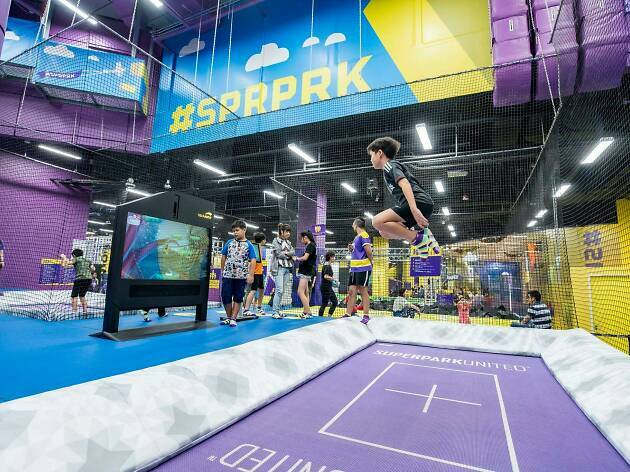 Those as young as five can try to balance on the two-storey indoor high elements obstacle course, with the help of a parent, who are encouraged to climb with their younger kids. 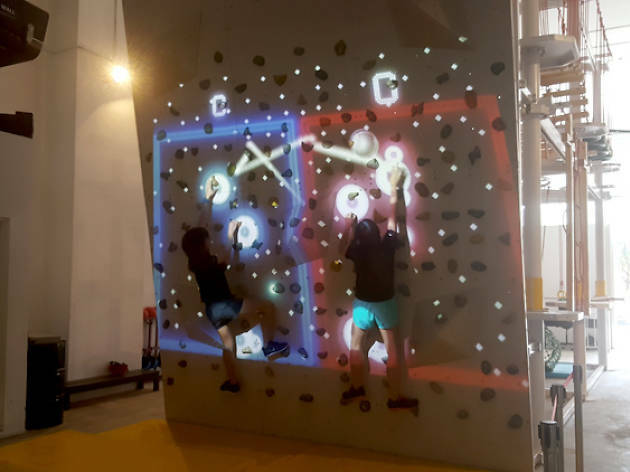 But the highlight at Let ’em Play is Singapore’s first augmented reality rock climbing wall. Challenge another player to hit as many bats as possible, climb a set route or pass a ball back and forth – all while hanging onto the wall, of course. After the physical workout, it’s time for a mental workout – at the robotics lab that is. Kids will get the chance to build from scratch or programme robots at the hands-on workshops at the function room, which is also available for corporate events and birthday parties. Playeum has a nifty motto: 'They’ll change the world tomorrow. Let them play today.' Located in Gillman Barracks, Playeum is part children's museum and part play space. 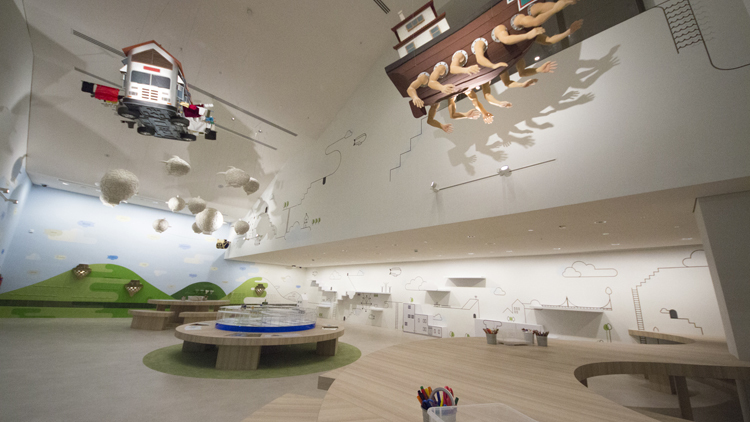 The centre hopes to spark creative thinking among kids aged one to 12, and is divided into four main spaces. 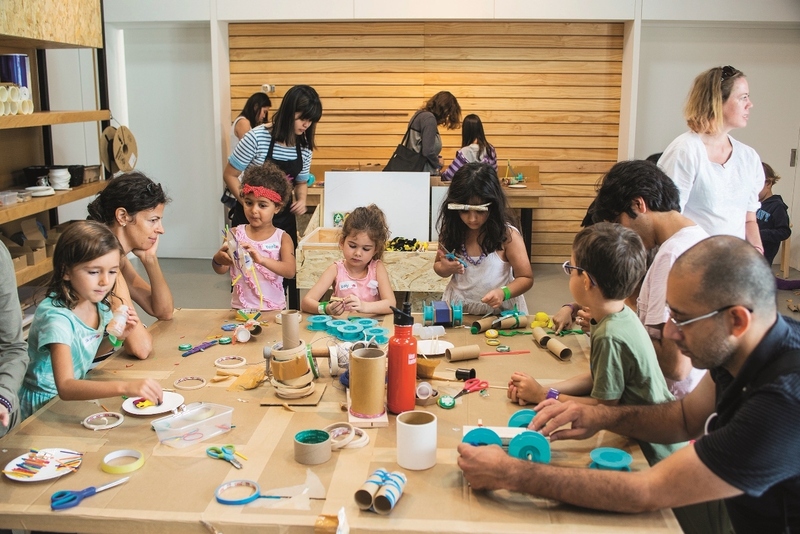 The Main Space, which features movable foam objects and wooden toys, is mostly for toddlers, while the Play Maker Space is home to household and recycled items that older kids can use as materials to build their own toys. Check out its current hands-on exhibition Making it Home which runs till April 29, 2018. During the school holiday, Playeum conducts holiday programmes for kids including camps, workshops and art jam. 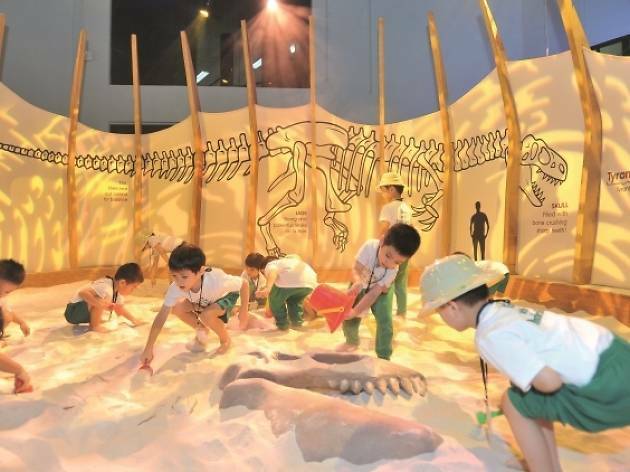 As the new home for South-East Asian art, the National Gallery, too, has its own art-inspired play space for the little ones. 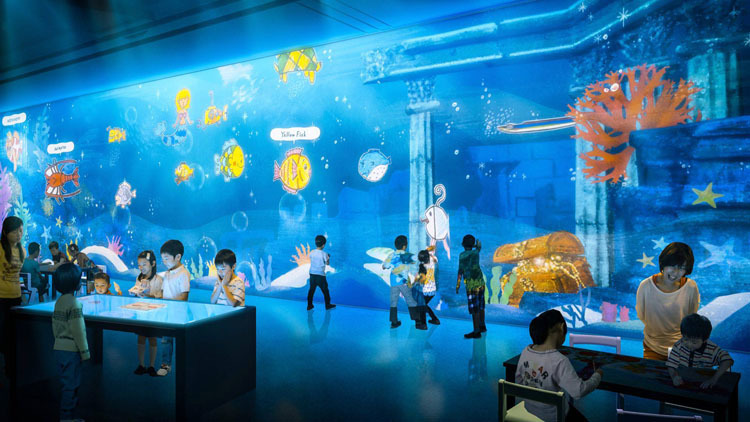 Known as the Keppel Centre for Art Education, the concept here is simple: to stimulate children’s curiosity and imagination through – what else? – art. The highlight here, no doubt, is the Art Playscape, which takes you and the kids inside a storybook. 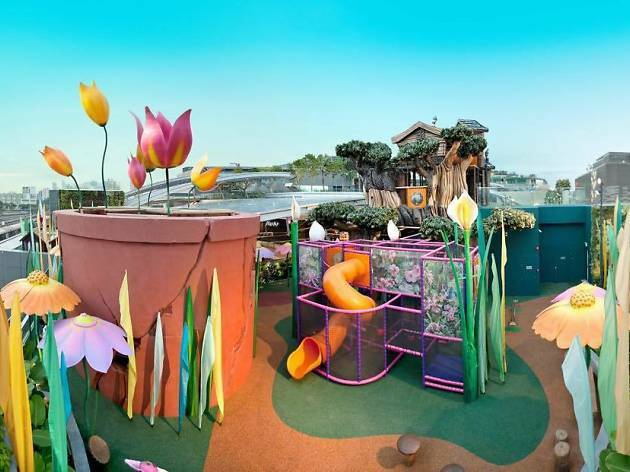 Titled The Enchanted Tree House, the fantastical play area sees Sandra Lee’s elaborate artworks literally spilling onto the floors and walls, with the ideas that you can "enter into a painting". Little ones can follow the story of Fynn the Fish-on-Sticks and his forest friends as they go on a journey to save their home from destruction. 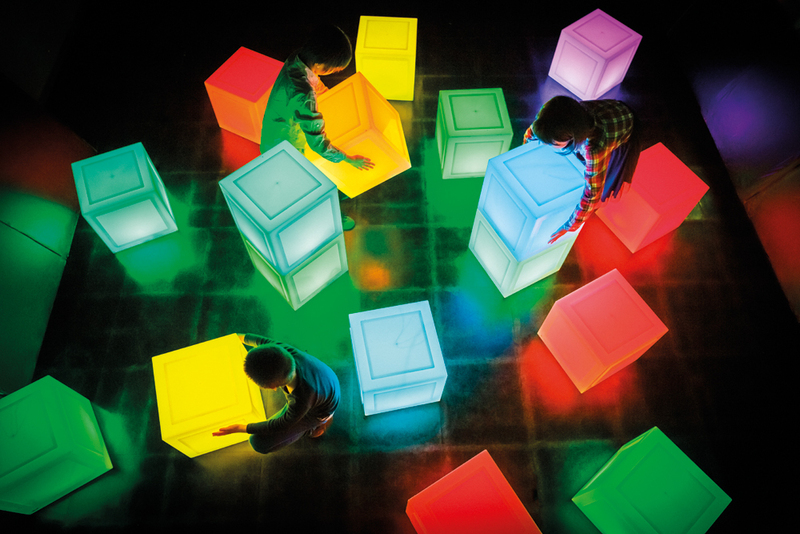 The ArtScience Museum’s first-ever permanent exhibition is a world of high-tech, immersive digital art installations. Highlights include Transcending Boundaries, where visitors can meander through the digitally-rendered garden featuring waterfalls that log in accordance with the laws of physics, butterflies that fly away upon touch, cherry blossoms that scatter like they would in the wind and more, as well as Sanctuary, where visitors can take a break and meditate in this tranquil space. 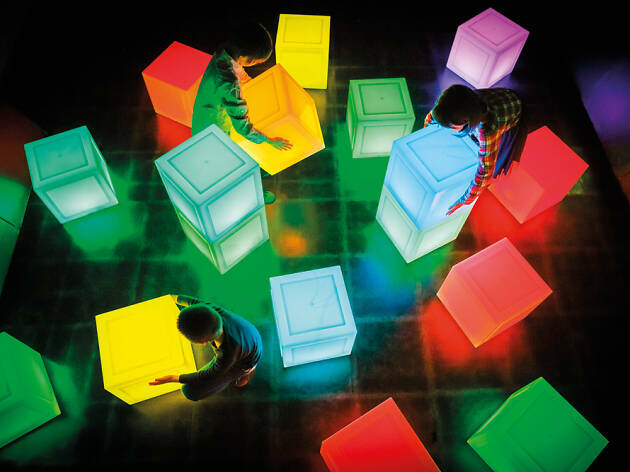 Kids can slide down interactive slides, see their crayoned art come to life, stack big illuminated blocks, and enter a giant ball pit.